The School of Criminal Justice values experiential learning as a key component to undergraduate and graduate studies. Internships, research, and field experiences can help students make informed decisions regarding their educational and career experiences. An internship can be a great, hands-on way to learn more about a specific aspect of the criminal justice field. It’s also a terrific way to make professional contacts. The School of Criminal Justice offers academic credit for internship and fieldwork experiences to both BS and MA students. To receive academic credit, you must register for the Criminal Justice Internship course (47:202:499). The internship course allows students to gain real-world experience while also earning academic credit for completing an internship and class assignments. Please note: The internship course is only offered in the fall and spring. It is not offered in the summer. For more information, please contact Internship Director, Dr. Beth Griffiths, at eg345@scj.rutgers.edu. Master’s students have the option to take a 3-credit fieldwork course (27:202:556) after completing at least two required courses (6 credits). During the semester prior to enrollment in the fieldwork course, interested students must obtain the approval of the M.A. Program Director to supervise their fieldwork placement. Please note: Only one fieldwork course may be taken during the M.A. program. 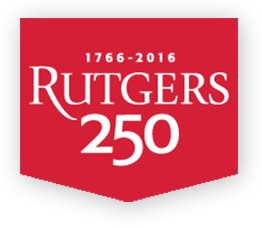 For more information, please contact Director of Community Outreach, Lori Scott-Pickens at lori.scottpickens@rutgers.edu .